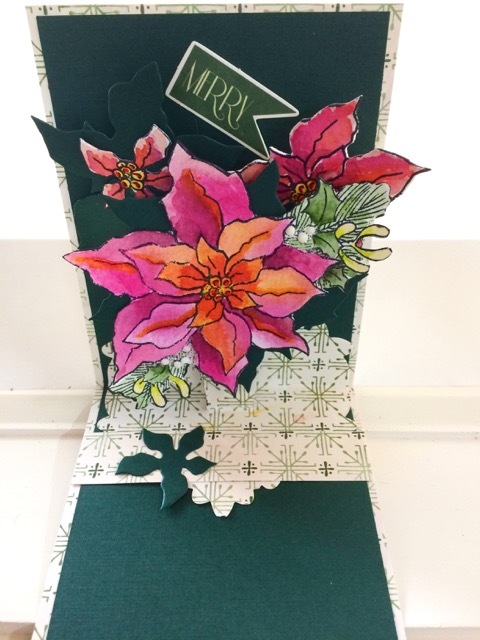 Stampendous® has done it again with their big gorgeous poinsettia image for this Christmas season! 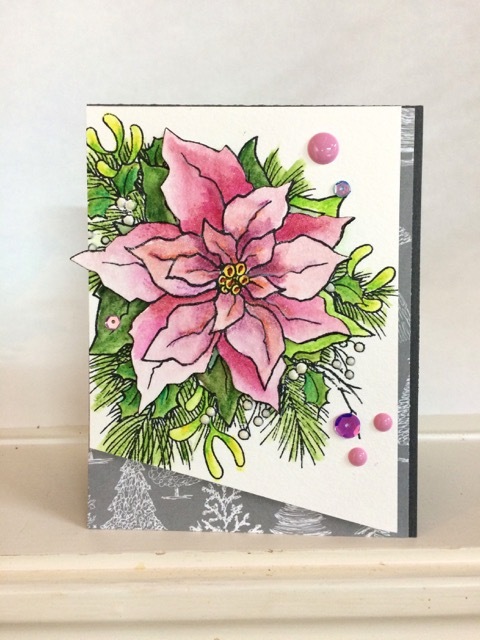 The cardmaking possibilities are endless, especially with the new pop-up die set, the matching flower die and new word dies from Elizabeth Craft® using an ombre coloring technique. If you haven’t used Derwent Inktense® pencils this will be a great learning experience — not only with Inktense® but Distress Inks® and Marvy® markers. 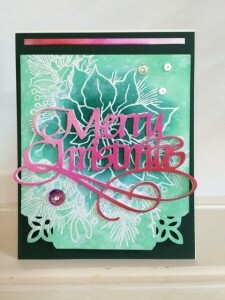 These cards will “wow” anyone on your card list this Christmas.